The New Year brings changes to the AlaskaCare Employee Health Plan, including a transition to new partners! Beginning January 1, 2014, Aetna will administer all medical and pharmacy claims and Moda Health/Delta Dental of Alaska will administer all dental claims. Through Aetna, AlaskaCare members will have a Health Concierge—a single-point-of-contact for all medical and pharmacy issues as well as claim and benefit questions. Aetna will also administer the COBRA, direct bill, HFSA, and dependent care programs. If you have any questions, it’s easy: just call Aetna’s Health Concierge at (855) 784-8646 or check out the TPA Transition Guide. We Have an App for that (and a Web Site too)! Aetna Navigator— your one-stop-shop for everything related to your medical benefits; find a provider, estimate the cost of a procedure, and view your claims history. myModa— your personalized Web site through which to view your dental benefit information and find a provider. iTriage— a mobile app that allows you to find a provider, look up symptoms, and learn about prescriptions. ActiveHealth— a Web site to support your wellness goals. 24-Hour Nurse Information Line— an around-the-clock resource when you need medical advice. Employee Assistance Plan— a Web site with tips and information about services to help you balance your personal and professional life. 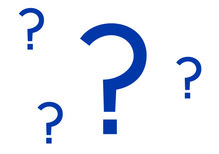 We Know You Have Questions—We've Got Answers! What's happening to my prescriptions? Most of your existing prescriptions will automatically transfer to Aetna. Read more, including info about how to confirm refills if you are using mail order. Help! Who should I call? View contact info for our partners on our Web site. How Do I Find Out if My Provider is in the New Network? To find a medical, pharmacy, or vision provider: Call Aetna’s Health Concierge at (855) 784-8646. You can also go to AlaskaCare.gov, select “Find a doctor,” and log into Aetna Navigator. If you are using Aetna Navigator for the first time, you will need to have your new ID card or Social Security number to register. 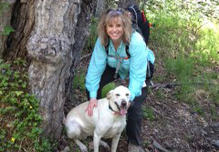 ActiveHealth is the new wellness team for AlaskaCare. ActiveHealth provides a variety of wellness services for individuals, including customized road maps and health coaching, as well as specific programs designed for people with chronic health conditions. ActiveHealth also offers access to targeted health information to help you, your family, and your doctor make better decisions based on your specific needs and take a more active role in your care. 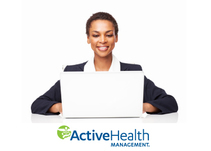 Learn more about these new wellness services by attending an Introduction to ActiveHealth Webinar. The first Webinar this month is Wednesday, January 8, from 3 p.m. to 3:30 p.m.
Gym and Fitness Discounts are Available for State Employees! This service is provided to you at no charge by Alaska Department of Administration.